The Department of Computer Science offers two part-time programmes by night. The Higher Certificate in Software Development is a level 6 programme which acts as a ladder to a level 7 BSc in Software Development degree programme. For the certificate programme, modules are offered 5 nights a week and Saturday morning allowing students to complete their studies in a reasonable length of time. Graduates of the certificate programme may progress to the level 7 BSc in Softwware development programme. Please click on the following links for detailed infomation about each programme. 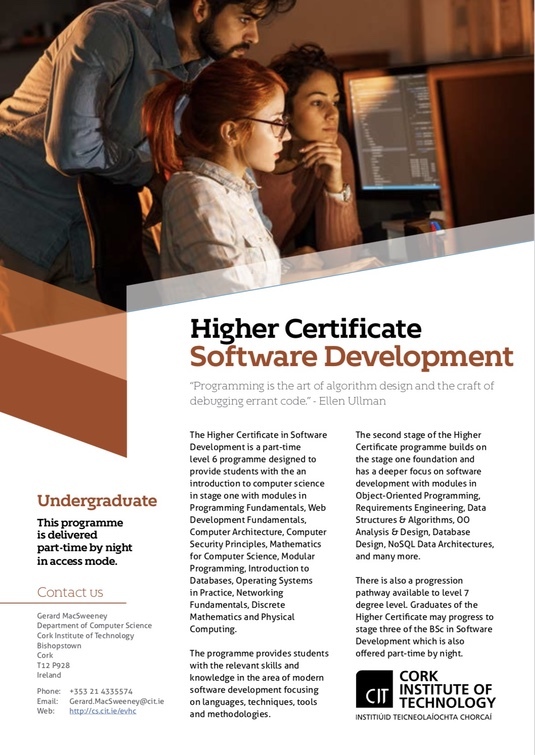 The Higher Certificate in Software Development is a part-time level 6 programme designed to provide students with the an introduction to computer science and modern software development. 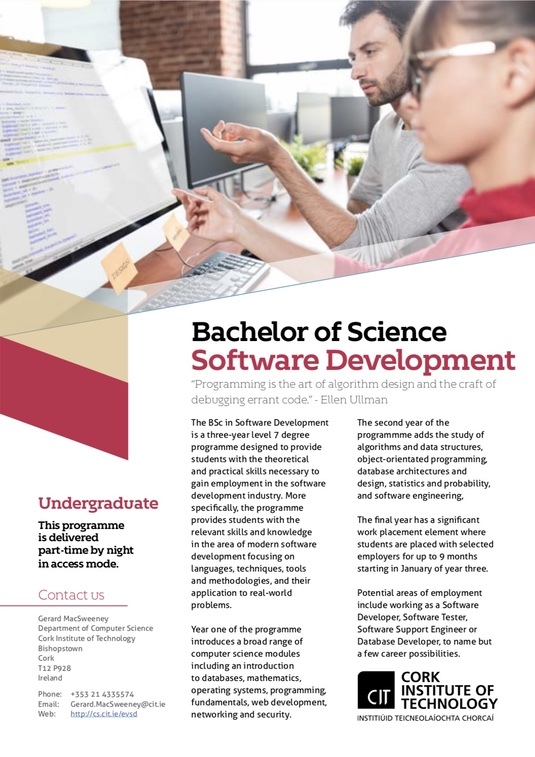 The BSc in Software Development is a part-time level 7 degree programme designed to provide students with the theoretical and practical skills necessary to gain employment in the software development industry. This is an add-on programme. Alternatively, if you just need a quick overview of both part-time programmes please click on one of the images below to download a pdf flyer for each programme. The flyers offer a brief introduction to each programme and include full programme schedules. The schedules have hyperlinks to every module descriptor allowing you to get to all the information that you need.